Surprisingly, Brooklyn wasn’t home to America’s first all-vegetarian public school — that honor goes to Queens elementary school PS 244 — but Sunset Park’s P.S. 1 wasn’t far behind. It’s Brooklyn’s first school to exclusively serve plant-based foods, and New York’s third. Making this endeavor even more progressive, the school’s 1,250 students, in pre-K through fifth grade, are partly responsible for this decision. 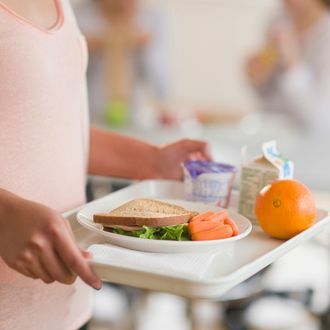 “My students have expressed an interest in healthier eating, and the school gave them the option to choose this menu,” says principal Arlene Ramos. The city’s also looking to bolster its farm-to-school programs and vegan menus. “Foodie” will be an obsolete concept by the time these kids grow up — it’ll just be a given. A generation of Brooklyn parents who’ve fed their children kale and named their children “Apple” must be pleased.